That’s where the Vampire Charger by [Matteo Borri] and [Lisa Rein] comes in. It is a piece of hardware focused on turning just about any source or power one might possibly have access to into a reliable source of 5 VDC for anything that can plug in by USB. This is much more than a DC-DC converter with a wide input range; when they say it is made to accept just about anything as an input, they mean it. Found a working power source but don’t know what voltage it is? Don’t know which wire is positive and which is negative? Don’t even know whether it’s AC or DC? Just hook up the alligator clips and let the Vampire Charger figure it out; when the light is green, the power’s clean. The Vampire Charger was recently selected to move on to the final round of The Hackaday Prize, netting $1000 cash in the process. The next challenge (which will have another twenty finalists receiving $1000 each) is the Human-Computer Interface challenge. All you need to enter is an idea and some documentation, so dust off that project that’s been waiting for an opportunity, because here it is. 2017, in case you don’t remember, was a terrible year for the Caribbean and Gulf coast. Hurricane Maria tore Puerto Rico apart, Harvey flooded Houston, Irma destroyed the Florida Keys, and we still haven’t heard anything from Saint Martin. There is, obviously, a problem to be solved here, and that problem is communications. Amateur radio only gets you so far, but for their Hackaday Prize entry, [Inventive Prototypes] is building an emergency communication system that anyone can use. It only needs a clear view of the sky, and you can use it to send SMS messages. It’s the PR-Holonet, and it’s something that’s already desperately needed. The basis for the PR-Holonet is built around an Iridium satellite modem. To date, satellite communication is the best way to get a message out to the world without any infrastructure. It’ll work in the middle of the Sahara, the depths of the Amazon, and conveniently anywhere that was just hit by a category five hurricane. Along with the Iridium modem, [Inventive Prototypes] is using standard, off-the-shelf equipment to turn that connection to a satellite network into something any smartphone can use. That means pulling out a Raspberry Pi, of course. But building a project for areas that were recently ravaged by hurricanes is no easy task. The enclosure it the key here, and [Inventive Prototypes] is using some great water-resistant, dust-proof junction boxes, solar panels, and a whole bunch of batteries to keep everything humming along. It’s a great project and something that was desperately needed a year ago. On February 1st, 2003 at eighteen seconds past 9:00 AM Eastern Standard Time, the Space Shuttle Columbia broke up during atmospheric entry over Texas. Still traveling at approximately Mach 18.3, the disintegration of Columbia was complete and nearly instantaneous. According to the official accident investigation, the crew had at most one minute from realizing they were in a desperate situation to complete destruction of the spacecraft. 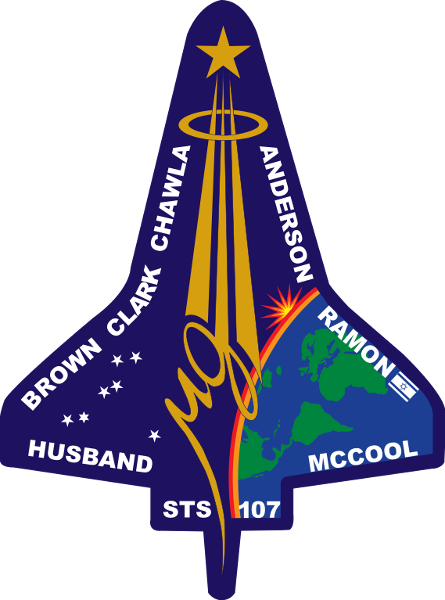 Due to the design of the Space Shuttle, no contingency plan or emergency procedure could have saved the crew at this point in the mission: all seven crew members were lost in this tragedy. While the Space Shuttle, officially known as the Space Transportation System (STS) would fly again after the Columbia disaster, even the program’s most ardent supporters had to admit fundamental design of the Shuttle was flawed. Steps needed to be taken to ensure no future astronauts would be lost, and ultimately, the decision was made to retire the Shuttle fleet after primary construction of the International Space Station (ISS) was complete. There was simply too much invested in the ISS at this point to cancel the only spacecraft capable of helping to assemble it, so the STS had to continue despite the crushing loss of human life it had already incurred. Between the loss of Challenger and Columbia, the STS program claimed fourteen lives in its thirty year run. Having only flown 135 missions in that time, the STS is far and away the most deadly spacecraft to ever fly. A grim record that, with any luck, is never to be broken. The real tragedy was, like Challenger, the loss of Columbia could have been prevented. Ground Control knew that the Shuttle had sustained damage during launch, but no procedures were in place to investigate or repair damage to the spacecraft while in orbit. Changes to the standard Shuttle mission profile gave future crews a chance of survival that the men and women aboard Columbia never had. “When all else fails, there’s ham radio.” With Hurricane Harvey just wrapping up, and Irma queued up to clobber Florida this weekend, hams are gearing up to pitch in with disaster communications for areas that won’t have any communications infrastructure left. And the perfect thing for the ham on the go is this ham shack in a box. Go-boxes, as they are known, have been a staple of amateur radio field operations for as long as there have been hams. The go-box that [Fuzz (KC3JGB)] came up with is absolutely packed with goodies that would make it a perfect EmComm platform. The video tour below is all we have to go on, but we can see a tri-band transceiver, an RTL-SDR dongle and a Raspberry Pi with a TFT screen for tracking satellites. The Pi and SDR might also be part of a NOAA satellite receiver like the one [Fuzz] describes in a separate video; such a setup would be very valuable in natural disaster responses. Everything is powered by a 12-volt battery which can be charged from a small solar panel. [Fuzz] is ready for action, and while we genuinely hope he and other hams won’t be needed in Florida, it doesn’t seem likely at this point. You can read more about the public service face of ham radio, or about an even more capable go-box.